With over 5lakh customers, the network of eSSL wove itself due to eSSL’s support and proven technology solutions and products. eSSL being recognized as a recipient of prestigious “Frost and Sullivan awards”, has excelled in providing services and solutions with the knowledge of in house expertise. eSSL’s major contribution into government sectors has put the government one step ahead in terms of security. Push Data Technology- eSSL biometric models enabled with push data technology, pushes the data from the devices to the centralized server location.This advanced technological implementation is to assist multilocation companies to maintain a centralized server by eliminating the installation of servers at each location by cutting down the cost. We are authorized dealer of ESSL. uface 602 Face Attendance Machine with Fingerprint RFID Card essl Team has released the new multi-biometric Time, Attendance and access controller. uface 602 has 1200 templates supporting faces, fingerprints 2000 and 10,000 cards (optional). Equipped with the latest hardware platform and algorithms, which gives the customer a pleasant experience to use through a new user interface and easy operation. The advanced technology of biometric recognition. It’s is the fastest machine when compared with other machines present in the market. it’s is the fastest machine when compared with other machines present in the market. uface 602 comes with an interface of Electric lock for third parties, door sensor, exit button, alarm. Uface 602 attendance machine comes with 4.3 inch touch screen. This machine is also known as face recognition time attendance machine. There is a misconception that it reads eyes but no its not true. 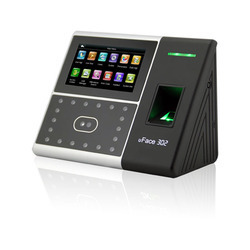 Uface 602 uses face to mark the attendance and provide access control. 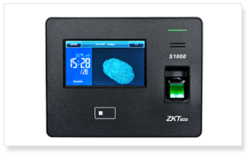 It is a standalone fingerprint Time and Attendance + Access Control system, IN and OUT status, also low price with good performance, designed especially in the purpose of popularizing the fingerprint products. 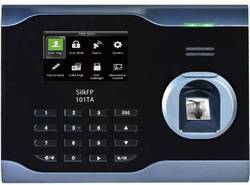 Time Attendance System eSSL SilK FP-101TA with Silk Fingerprint sensor. This device comes with Global-innovative 3D neuron model fingerprint algorithm for fast fingerprint identification. This device saves power with it Infrared Auto fingerprint sensation and activation. Now, leave your tensions and calculations to this eSSL i9c time attendance machine which works over biometric system and also on RFID cards. now your employee can never cheat you. 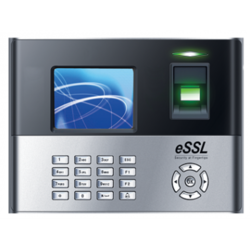 because this essl i9c biometric time attendance machine is now your office guardian. This machine actively syncronise the data of employee to its software and give the nice report to you or to your HR team which made easy to calculate salaries and leaves of your employees. Support: Ms Access / MS SQL Server / Oracle database. Visitor Management ⁄ Payroll Software. Maintain OT Register / Leave Register. The UFace 302 can be used as a stand-alone access control reader by connecting a door lock, exit switch, alarm and door sensor to the relay contacts. The Wiegand IN and OUT ports can be used to connect 3rd party access control panels and peripherals. The iFace 302 also includes a USB-port for offline data backup/management.For even more security, iFace 302 can be purchased with an internal ID card reader which adds still another layer of security. • 20,000 Fingerprints and 40,000 cards. Verification Speed: ≤ 1 Sec. ESSL LX16 is Fingerprint Time and Attendance machine with Self-Service-Report. It is applicable to small chain stores.User capacity for LX-16 is 500. Data can be downloaded directly in excel format without any software.